In the past, we've seen some innovative and unique product launches from Ouai—the super-chic haircare brand from celebrity hairstylist Jen Atkin. There's the dry shampoo foam, which is something of a hybrid between regular aerosol dry shampoo and creamy mousse. Then there's the most recent launch, which consisted of three rollerball scents. That one was particularly surprising. After all, it's not every day that a haircare brand branches off into the fine fragrance market. Today, fans of Ouai can rejoice, because a brand-new product has officially launched. It's something that people with thin hair (like myself) will want to try. 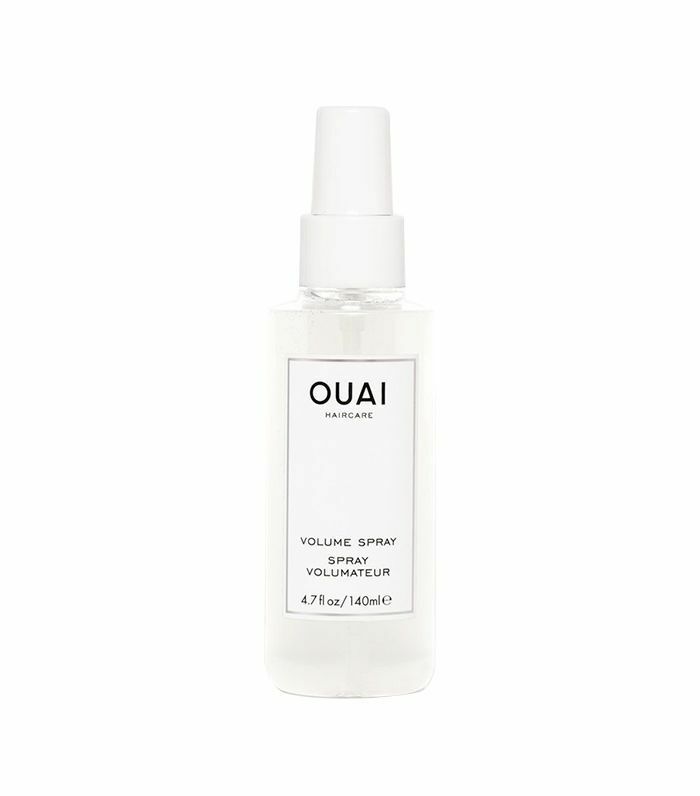 Meet Ouai's new volume spray that's currently up for grabs on the brand's website and at Sephora. This spray is formulated with special polymers that lift and thicken each hair strand to create a volumized look. Aside from the volume it imparts, it also improves hair health with hibiscus extract and panthenol. The former softens hair and boosts its elasticity. The latter conditions, protects, and adds a healthy shine. Just don't expect to see any parabens or sodium chloride, as it's formulated to be 100% free of those ingredients. Oh, and it's also cruelty-free (score). Just like all other Ouai products, it smells heavenly—like the brand's No. 2 fragrance. It's a floral scent that smells of bergamot, Italian lemon, magnolia, blackberry, sandalwood, and cedar, among other things. With a list of scent notes like that, we almost think it could double as a hair perfume, too. To use, simply spray from root to tip in damp, clean hair. Then blow-dry to your preferred style. The result will be your usual hair only thicker-looking and more volumized. Atkin recommends following it up with the brand's Texturizing Hair Spray ($26) for added lift. Easy peasy. Next, see which classic drugstore brand Gal Gadot is representing now.